Hi from Designer Chris! Today's card is a June reveal card from Sparkle N Sprinkle. 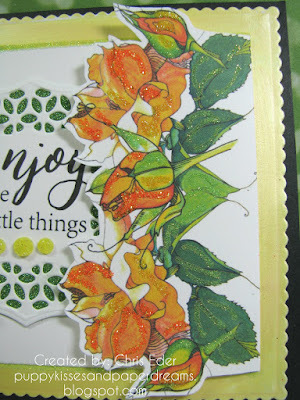 I used the digital version of the My Wild Rose new stamp set. Check out the card I made, which can showcase versatile uses of the digital stamp set! I used the digital image, and sized the sentiment to how I wanted it on my computer. Then, I printed it out onto white cardstock. Then, I die cut the sentiment panel with a Tonic Jasmine Sunset Layering die, using my Tonic Tangerine (AWESOME!). This die cuts these really cool little flower spaces. I laid some 2-1/2" Tear-ific Tape behind the die cut and trimmed it to fit. I burnished in Gecko glitter. Such a gorgeous glitter! I also squeezed on some Yellow Bird glitter drops under the sentiment. I created this card to be a bit of a gatefold card. I added multiple flowers from My Wild Rose and layered them up to create a rose panel. I copied it and reversed it to create a second mirror image. I printed it out using my color printer, then fussy cut around the edges. I scored and adhered the flaps behind my card panel. I also die cut another piece of cardstock using Tonic's Mixed Edge Rectangle Layering Basic Die Set. I swiped some (beautiful!) Custard Cream Embellishment Mousse from Tonic. This dried really quickly. As soon as it was dry, I adhered it onto the black card base, and then adhered the panel and gatefold panel onto the yellow rectangle. And, of course, I blinged up the roses! I rolled out some Nuvo Smooth Precision Glue Pen onto strategic rose areas and the leaves. I colored the leaves with Margarita glitter, and the roses with both Butterscotch and Peach Bellini glitters. 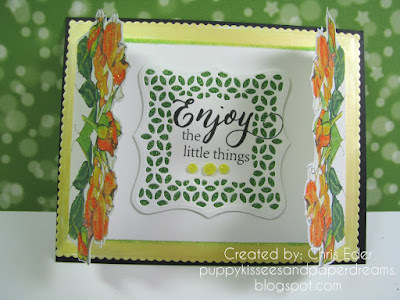 For more card tutorials, please click on my blog, Puppy Kisses and Paper Dreams. 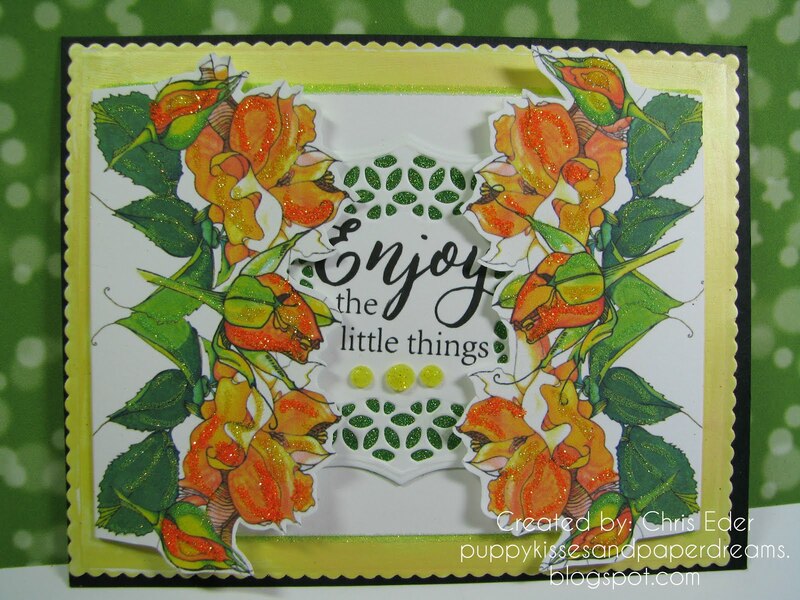 This was a really fun card to make, and those Wild Roses make me so happy. What an amazing stamp set! I can't wait to see what you create - and you can post your creations in our Creative Challenge on Facebook. The June Challenge is open until June 25. 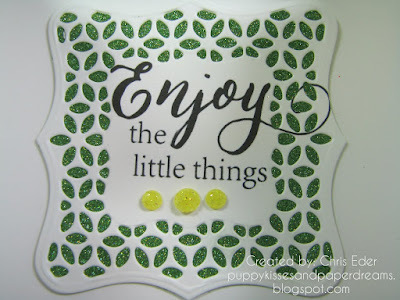 All you have to do is use a Sparkle N Sprinkle stamp set! Check it out!